On 29th November 2018, the Accounting Research Group (ARG) launched their inaugural magazine, the Accountant’s Digest volume 1, issue number 1 which contains a series of thought leadership articles on accounting and related areas. 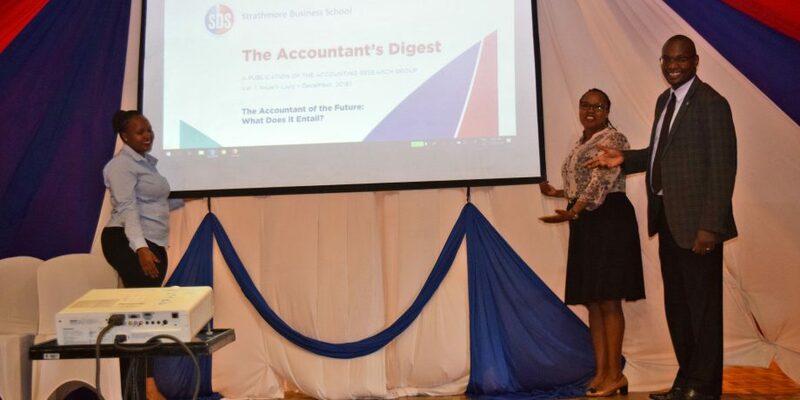 The launch took place during the accounting round-table organized by faculty and students at Strathmore University Business School (SBS) for its Bachelor of Commerce students specializing in Accounting in which twelve industry practitioners attended. When announcing the launch of the Accountant’s Digest, Dr. Jim Mcfie lauded the initiative, giving examples of how early, respected and well re-known literature sources in accounting evolved from very humble beginnings. 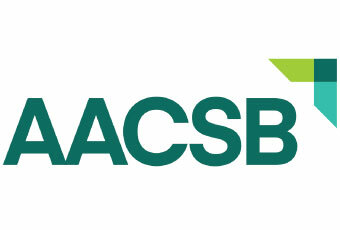 In light of this, he cited the evolution of the American Accounting Association’s “The Accounting Review”, one of the top accounting journals in the world today. During the launch, Dr. Angela Ndunge, the Deputy Executive Dean at SBS welcomed the move, terming it as a step towards harnessing the rich knowledge and emergent developments in the accounting and related professions. Present at the launch was the key note speaker, Catherine Chepkonga, the Head of Commercial Finance at British American Tobacco who applauded the ARG team for being proactive. The Accountants’ Digest is a step towards the development of authoritative articles relevant for the industry as well as academics and researchers. The first issue of the Accountants’ Digest includes a collection of articles covering five diverse areas grouped under: (i) technology and accountancy, (ii) sustainability and integrated thinking, (iii) accountancy practices, (iv) recent developments in International Financial Reporting Standards (IFRS) and auditing standards, and (v) taxation. The Accountants’ Digest also includes an information series section which reminds us of key individuals in the accountancy professions and a set of current IFRS. In case you would like to a copy or contribute to the Accountants Digest, please write to the Assistant Editor on fotieno@strathmore.edu.